Car is perfect, paperwork included, but only the bottom of the polystyrene part of the insert, the box is also included, and I will make sure I package it all really well due to no polystyrene top. Franklin Mint no B11 TC 05 1961 Jaguar E Type convertible the model is mint condition and comes complete with its box and associated paperwork. Iconic Jaguar 3.8litre straight six "E" Type Jaguar Convertible (hood down) in BRG. SUPERB QUALITY AND CONDITION GREEN 1961 JAGUAR E-TYPE. HAS DOORS / BOOT / BONNET ALL OPEN. HARD TO FIND IN THIS CONDITION. FRANKLIN MINT - 1961 JAGUAR E-TYPE - 61-XKE. IN VERY GOOD CONDITION, APART FROM MISSING 1 OF THE 3 WIPER BLADES, HAS BEEN DISPLAYED ONLY. BOXED IN POLYSTYRENE CASE. 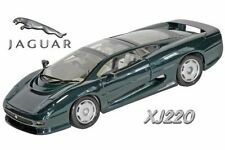 THIS PRECISION MODEL EXCELLENT DETAIL INCLUDING OPENING DOORS, BONNET AND HATCH/BOOT/TRUNK, HATCH/TRUNK/BOOT HAS ORIGINAL BOOT HOLDER AND ENGINE FULLY DETAILED. A Danbury mint 1962 JAGUAR E Type / XKE. Scale is 1/24. Model Condition.MODEL IS IN MINT CONDITION. Franklin Mint Jaguar SS-100 1938 Scale1/24. Scale 1/24. This is a pre owned item. A Franklin mint model of a 1938 Jaguar SS 100. A Franklin mint scale model of a 1938 Jaguar SS-100.Olde English white. Boxed but no paper work. Scale is 1/24th. Very well detailed, has opening doors, opening bonnet with detailed engine, fold down wind screen, the front wheels steer and all roll. A Franklin mint scale model of a 1938 Jaguar SS100. Scale is 1/24th. Very well detailed has opening doors, opening bonnet with detailed engine, the front wheels steer and all roll, fold down wind screen with 2 aero screens behind. A Franklin mint, 1938 Jaguar SS100. Scale is 1/24th. no box or no paperwork. 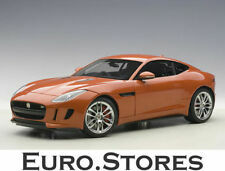 This model has opening doors, opening bonnet with detailed engine, Fold down wind screen, front wheels steer and roll. Boxed but no paper work. Scale is 1/24th. 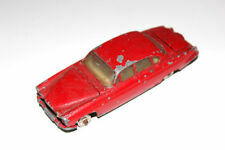 Very well detailed, has all doors opening, opening bonnet with detailed engine, opening rear door. the front wheels steer and all roll, has all 3 wind screen wipers ( often missing ). Sent second class, sign for. scale is 1/24. If you can't see it in the photo it's not included. All these model is listed are pre owned. no paper work. Well detailed, opening doors, bonnet with detailed engine, Fold down wind screen with aero screens,, front wheels steer and roll. A Franklin mint scale model of a 1938 Jaguar SS100. In near mint condition. Highly detailed model opening doors, opening bonnet with detailed engine. wheels turn and roll. 1 aero screens, wind screen lay flat.. 1 headlight is missing. Colour GREEN. Condition MINT and Complete. 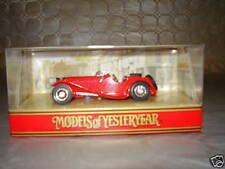 FRANKLIN MINT 1/24 1938 JAGUAR SS100 - MINT/BOXED/PAPERWORK - L@@K!! A Franklin mint model of a 1938 Jaguar SS 100. sorry no paperwork.